A once-in-a-generation text for assisting a new generation of students. NEW! 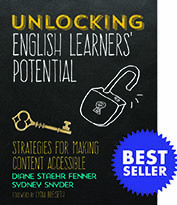 Click to download printable charts and tables from Unlocking English Learners’ Potential for free! A shared sense of responsibility for EL success —Providing tools that every educator can use to ensure that ELs are effectively served. 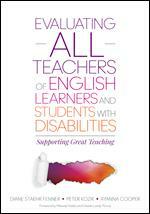 Teaching ELs and students with disabilities can be one of the most challenging experiences in an educator’s career, and also one of the most rewarding if educators have the tools they need. 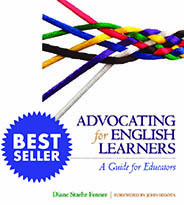 With this book, the first of its kind, your school can become a leader in the field by taking part in conversations that center on equitable teaching of diverse learners as well as valid evaluation of those who serve them in classrooms. This is a printed book. It is also available in an eBook format for Kindle and Apple and Android. Options for platform are presented during checkout. The growing number of English language learners (ELLs) entering U.S. classrooms has increased the demand for effective educators who work with this diverse student population. 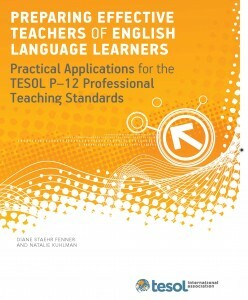 This book provides guidelines, examples, and strategies in applying the TESOL P-12 Professional Teaching Standards and serves as a resource to programs and teacher educators working with professionals who strive to make the route to language proficiency as smooth, challenging, and effective as possible.